Passover commemorates the deliverance of the Jewish people from slavery in Egypt. Here is a general overview of Passover. The Passover celebration is based on the Biblical story of Moses in the book of Exodus where God uses Moses to free the Israelites from Egypt. God sent plagues on Egypt to convince Pharoah to let His people go. However, it wasn’t until the last plague, the plague of death, that Pharoah was finally convinced to free the Israelites. In Hebrew, Passover is called “Pesach” and literally means, “to pass over”. And it represents the final plague where the angel of death “passed over” any home that had the blood of the lamb on the door posts. Passover is the oldest continuously celebrated Jewish festival. Each year it begins on the 15th day of the Jewish month of Nissan, which falls around March/April each year. This year Passover starts on 10th April 2017. Inside Israel, Passover and the Feast of Unleavened Bread is celebrated for seven days, but outside Israel the celebrations are for eight days. Before celebrations can begin the house must be cleaned from top to bottom to remove any traces of chametz (leaven) from the home. This is where the term, “spring cleaning” came from, as Jewish people would clean their house for the Spring feast. Removing leaven, symbolises the Jews leaving Egypt who did not have time to let their bread rise, but also speaks of removing ‘puffiness’ (arrogance, pride) from their souls. A Jew may not eat or benefit from chametz (leaven) during Passover, or even feed it to animals. Most families celebrate Passover in their homes and the main event of the Passover holiday is the seder (literally, “order”), a festive meal in which the haggadah (story of the exodus and related writings) is recited in a set order. Zeroah: A Roasted bone (to remind the Jews of the Passover offering they brought to the Holy Temple in Jerusalem). Beitzah: A hard-boiled Egg (to remind the Jews of the festival offering which was brought to the Holy Temple in Jerusalem). Maror: Horseradish Root (These bitter herbs symbolise the harsh suffering and ‘bitter times’ endured by the Jews when they were slaves in Egypt). Charoset: A mixture of chopped apple, walnuts and red wine which is ground together (resembling bricks and mortar, reminding Jews how hard they were forced to work when they were slaves in Egypt). Karpas: Celery, sprigs of parsley, a small slice of onion or a boiled potato (These are dipped in in salt water at the beginning of the Seder to represent the salty tears the Jewish people cried when they were slaves). 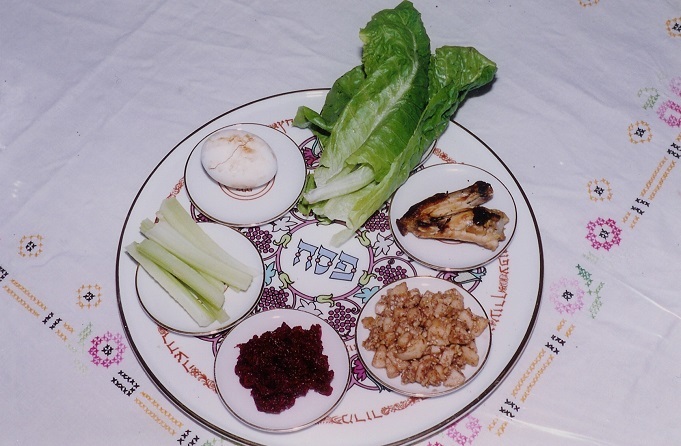 Chazeret: Romaine Lettuce (A second portion of bitter herbs which are eaten in a Matzah sandwich together with Maror). There is a great depth and richness to this festival which has been continually celebrated by the Jewish people for 3,500 years. If you would like to get a deeper understanding of how the Jewish people celebrate Passover today, and also learn the history behind it, we recommend you check out jewfaq.com. Many Christians are familiar with the Exodus story, but they may not be aware of the significance of Passover in regards to Christianity. In the story of the Last Supper, the special meal that Jesus and his disciples partake before Christ’s crucifixion, there are many links to the Jewish Passover. The symbolism employed in the Passover Seder uniquely matches the suffering and death of Jesus, as God required a sacrificial lamb in order to redeem his people. When Jesus took the wine and bread and gave the commandment of communion to his disciples he explained, “this is my body” and “this is my blood”. 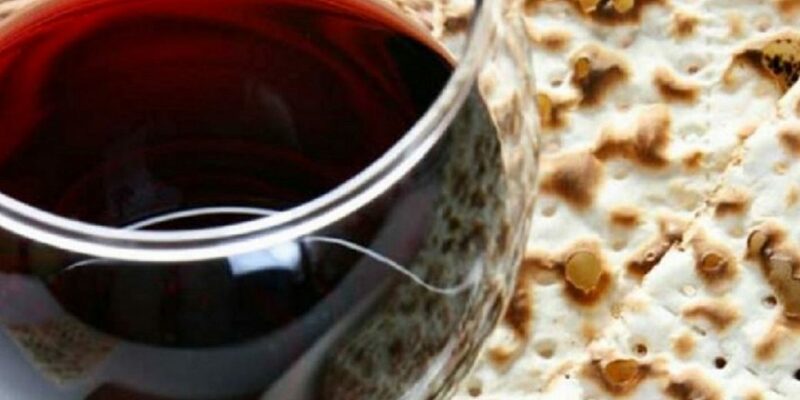 Almost every aspect of Passover has an intricate connection with the death and resurrection of Jesus and the wonderful way that God brought salvation to the Gentiles through the Jewish people. We encourage Christians to learn more about the Jewish roots of Passover as we believe it gives a deeper understanding of our Christian faith.